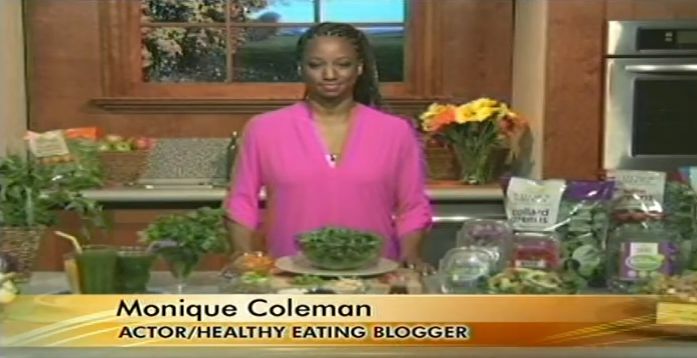 March 20, 2015 – Healthy eating has been High School Musical Star Monique Coleman’s passion and, as an actress in Hollywood, she always has to look her best and knows just how easy it is to get derailed on nutrition. Monique is on a mission to share her nutritious eating tips since her own family has struggled with making healthy choices and weight issues. We all know that too much processed and fast food can put you in the fast lane for fitness failure, but did you know that the biggest sabotage to healthy eating may actually come from an unlikely source? Your salad. 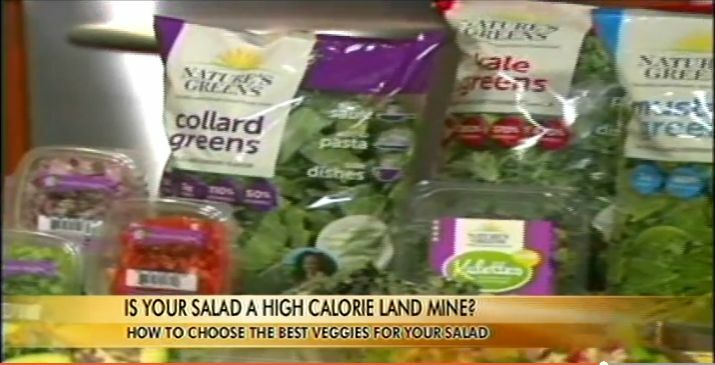 Question: How can salads that start out healthy turn into a high calorie land mine? Monique Coleman: A salad may seem like a nutritious choice until you begin to pile on high-calorie ingredients. What starts out as 400 calorie light meal can turn into a 1200 calorie land mine when you add alarming amounts of cheese, high fat commercial salad dressings, croutons, dried fruit, and “a pound” of nuts. You know, eating healthy is one of my passions and, as an actress in Hollywood, I know just how easy it is to get derailed on nutrition. I’ve put together some tips and recipes plus have a perfect salad equation to diffuse the high calorie salad bomb. Question: Let’s start with the perfect salad equation. How do you make a truly healthy salad? Monique Coleman: That’s exactly what it is….an equation. Your salad should be three-quarters fresh fruits and vegetables like a mix of greens including kale and other leafy greens like turnips, mustards and collards which are so good for you and even cut up veggies like squash, zucchini, celery, onion, sliced peppers and tomatoes and a one-quarter combo of lean protein, like chicken, or black beans or tofu plus a complex carbohydrate such as wheat berries or quinoa. You can add one-to-two tablespoons of calorie-dense items like avocado wedges that are healthy fats. If you need extra flavor, just toss in some fresh herbs into the mix like basil, cilantro or mint; or whisk raw or roasted garlic into oil and vinegar. A healthy salad doesn’t have to be boring because it should be a feast for your senses. Question: Why is a variety of vegetables better for you? Monique Coleman: I recently read a study by University College in London that found that 48% of people who eat seven or more servings of vegetables and fruit a day live longer than those who don’t. So aim for at least two cups of veggies with lots of different colors like the ones you see here from Nature’s Greens and Versatile Veggies which are always in season. Last summer, I got to visit their farm and fields where they grow their produce and know first hand that eating vegetables that are in season will give you maximum nutrition benefit . Question: What are some easy ways to get a variety of veggies in your diet? Monique Coleman: We all have busy lifestyles and it’s not always easy to eat healthy so make it easy on yourself and look for pre-cut and pre-washed bags of greens – my favorites Kale and Collards — and already chopped vegetables. Nature’s Greens and Versatile Veggies make it very convenient to eat healthy. Also, a very popular trend is fruit smoothies but it’s a misconception that they are all healthy for you because many are packed with crazy amounts of sugar so your best option is to make your own and many people don’t think to do a vegetable smoothie, but they’re a great way to add veggies to your daily routine. You know I have put together some really easy recipes that are packed with nutrition and flavor, including my favorite Kale smoothie at Rawl.net. Monique Coleman is most recognized as Taylor McKessie from the tremendously successful High School Musical franchise, as well as one of the stars of Dancing with the Stars (Season 3). She has also guest starred on such shows as Boston Public, Malcolm in the Middle, Veronica Mars, Bones, and was a series regular on Disney’s The Suite Life of Zack and Cody. Coleman has also co-hosted The View, and appeared on Rachel Ray, Good Morning America, The Today Show, and Elle. Monique grew up in South Carolina and has been inspired to pursue healthy eating because of her own family’s struggle with making healthy choices and weight issues. She loves learning about how fresh vegetables are grown and get to markets so she can make the healthiest choices as well as sharing her nutritious recipes with fans on her blog. She is currently partnering with leafy greens grower WP Rawl to promote their brand Nature’s Greens® and healthy living. Monique is passionate about living a well-balanced life and wants to show her fans eating greens in healthy ways can also taste great!